I just passed a splendid evening sipping wine, nibbling yummy cheeses, flexing my French vowels and enjoying “Black Americans in Paris” night at the Alliance Française in San Francisco. It was a kick-off event for Maison de la Culture Noire Américaine, dedicated to celebrating the American and African diaspora in France. 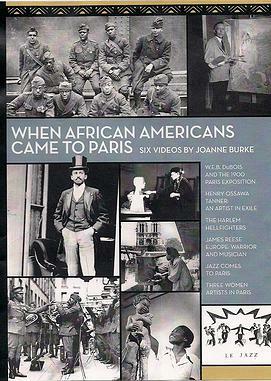 The kick-off for the kick-off was a screening of the film “When African Americans Came to Paris,” which highlights the history of the African-American experience in France through war and peace, and the plethora of talented writers, artists and musicians who found their way there—think Langston Hughes, who did a stint as a waiter in a jazz club, as an example. Then, an eager audience peppered the panel of two with questions. The first to speak was UC Berkeley history professor and dean, Tyler Stovall, whose 2012 book, Black France/France Noire, is the definitive word. 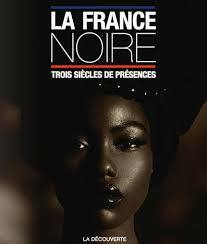 He talked not only about the African-American experience, but about the diverse black cultures in France, which include African and Caribbean communities, some of whom came to France as immigrants but also as French citizens. Adding his own rich voice and tone to the event was contra-bass player and singer Farris Smith, Jr. His stories of arriving in France–and making it as a musician and busker in the Paris métro—were rich, funny and spot-on. Wonderful to learn, for example, that the indomitable French bureaucracy extends even there, to the bowels of the underground, where in order to busk one must have try-outs and a license. On the other hand, with official status as “a beggar,” a street (or métro) musician is not required to report his income and can therefore make a modest living. Another “Who Knew?” gem shared by Smith: Typical African-American jazz clubs, adored by the French, are having a hard time surviving for two reasons. For one thing, young Parisians being enamored of American jazz, have begun studying and getting degrees in it and can’t find jobs in the field if “unlicensed” foreigners are taking them all. For another, since smoking, that most Parisian of activities, has been banned from clubs (many of those traditional “caves” or literal holes in the ground beneath the sidewalks), patrons often take to exiting to the street to smoke. They also laugh and talk, causing the neighbors to complain and the police to crack down on the clubs. Vous voyez? But listening to that big bass and that big voice boogie woogie about those familiar underground stops, a person just can’t stay down too long.